It won’t surprise you to hear that, round here, we’re big lovers of lipstick. Nudes, reds, pinks, autumnal browns…oh yes, we love ‘em all. But turns out there’s one major beauty autumn trend, that rolls around each year, that the three of us tend to avoid. 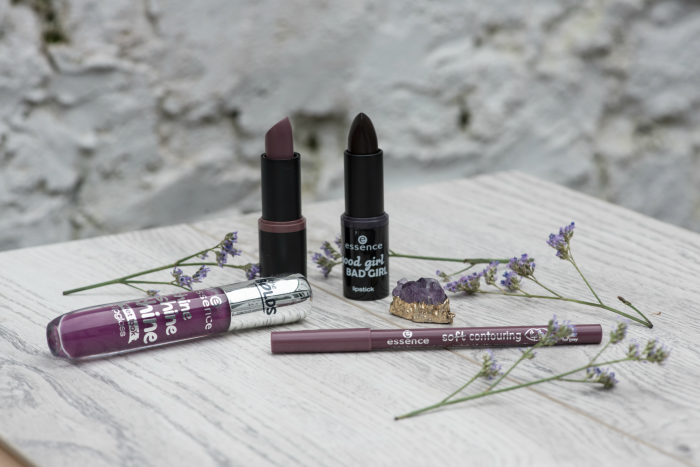 Deep purple vampy lips, it transpires, are outside each of our comfort zones. But for the sake of the blog and our readers we’ve womaned up and tried out the trend. Here’s how we got on…and completely coincidentally (as in, this post is not sponsored! ), all three lippies are under €3 from Essence. Bonus! 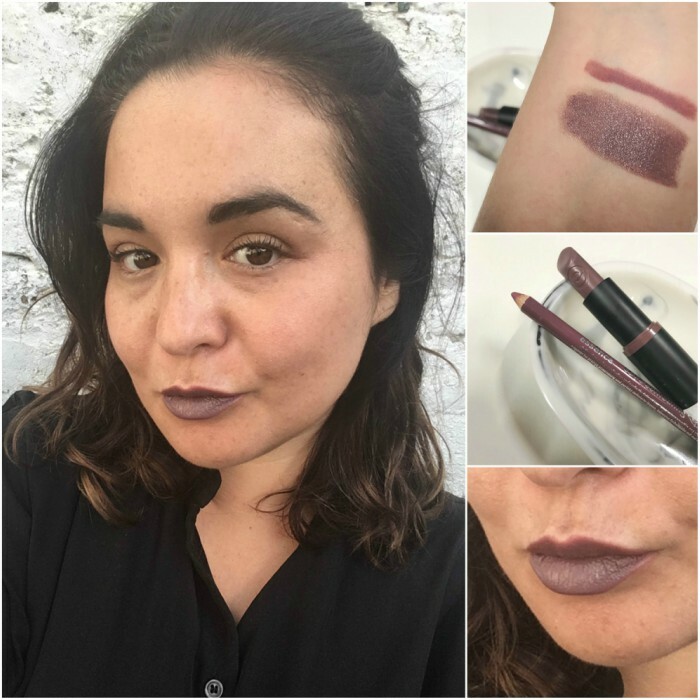 I’m wearing Essence’s Ultra Last Instant Colour lipstick in #5, So Un-grey-tful with the soft contouring liner in #11, Sucker for Grey. I was intrigued by this muted, cool-toned grey-mauve at first sight. Part granny-chic and part modern grunge, the colour is very current and cool. Of course, it’s also terrifying for me as I hurtle towards my 40s. Formula-wise, this turned out a little more sheer than I expected which suited me fine, because that makes it a lot more wearable. It’s not drying and feels nice and lightweight on the lips. I feel pretty badass when I’m wearing it (as I think you can see from my photo above! ), but also more self-conscious about my teeth - it’s not the most flattering on the aul’ gnashers. I’m glad I tried it though and I will wear it again on nights out when I want a bit of a confidence boost. 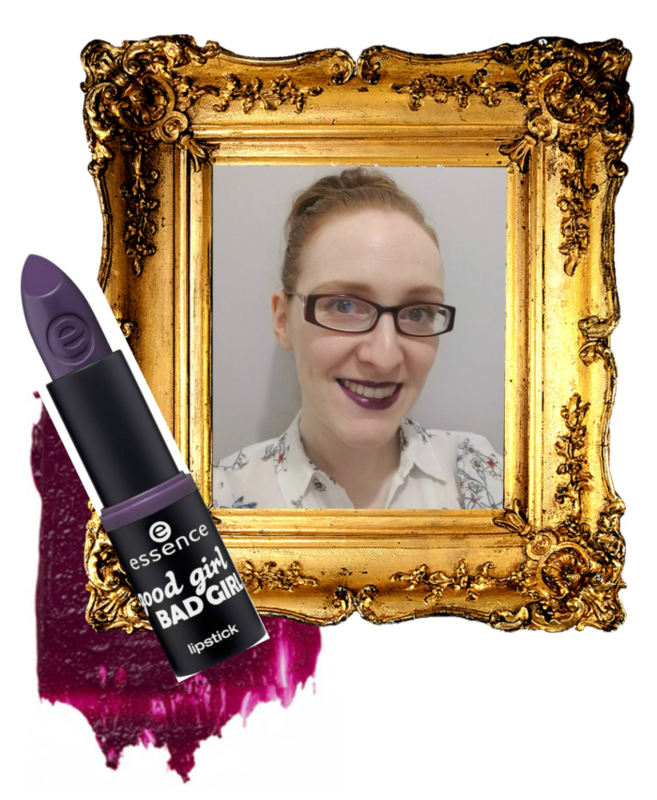 Emily wears Essence's Good Girl Bad Girl in the shade #1, It Wasn't Me. “This particular lipstick from Essence looks a little more daunting in the bullet than it really is. It looks almost black but, on application, it’s a blackberry-purple that’s (surprisingly) suitable to walk out of the house in. It has great pigmentation and a creamy texture which gives it a bit of slip on the lips and a glossy finish - but unfortunately, here lies its biggest problem. 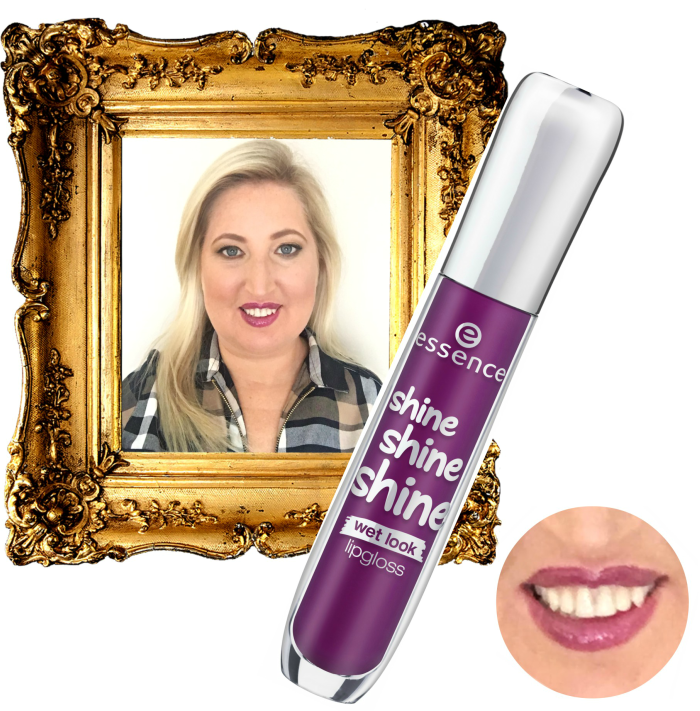 Allsún wears Essence Shine Shine Shine lipgloss in #12, Runway, your way. Ok, so, there are two main takeaways from all of this. Purple is kinda scary but it’s still more wearable than you think. And if you are going to try a new trend, head straight to the chemist and pick up something cheap and cheerful to experiment with.